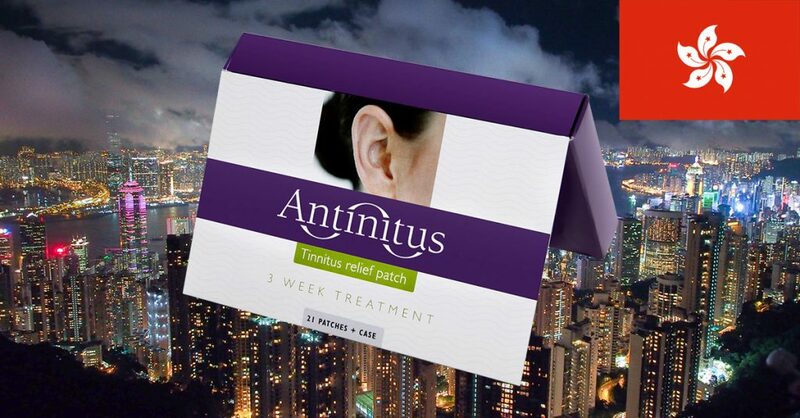 It is now established that all those suffering from tinnitus in Hong Kong will have access to Antinitus, the world’s first patch for reducing discomfort from tinnitus. Tinnitus is common, about 20% of adults suffer from tinnitus, which means that approximately 1.4 million people in Hong-Kong now will have the opportunity to alleviate their discomfort. The new tinnitus patch is distributed in collaboration with Health Care & Co, with over 35 years of experience in health, medical care, and rehabilitation. They are one of the largest distributors of medical equipment in Hong Kong and Antinitus will be available at their own distribution channel Medimart with 21 establishments spread throughout the region. The tinnitus patch will also be available at selected pharmacy chains and healthcare establishments, and, in step 2, also at private hearing centres and audiologists. – Tinnitus is a common problem in Hong Kong where a large part of the population suffers to various extents. Antinitus tinnitus patch is needed here, as there is no evidence-based or universal treatment to date, says Jason Cheung, Sales Manager Health Care & Co. The tinnitus patch is the parent company Sensori’s first medical device and a global launch of Antinitus is under way. In addition to Europe, Canada, New Zealand, Australia, and Egypt, Hong Kong can now be added to the locations that have access to the Swedish innovation. According to Sensori’s own assessment, more than 500 million people globally experience discomfort from tinnitus.